Sarajevo, the current capital city of Bosnia and Herzegovina, hosted the 1984 Winter Olympics. The country is nicknamed the “Heart Shaped Land” due to the country’s slight heart shape. The name “Bosnia” comes from an Indo-European word Bosana, which means water. Which is fitting as the country is covered with beautiful lakes, rivers, waterfalls, and a strip of the Adriatic Sea. Bosnia and Herzegovina consists of two Entities – the Federation of Bosnia and Herzegovina and the Republic Srpska. There is also an internationally supervised district, the Brcko District. The currency of Bosnia and Herzegovina is the Marka. In 2010, Lonely Planet’s “Best In Travel” nominated Sarajevo as one of the top ten cities to visit that year. Established in 1995 during the Bosnian War, Sarajevo Film Festival has become the largest and most famous film festival in the Balkans and South-East Europe. The Bosnia and Herzegovina national football team will play at the 2014 FIFA World Cup, its first major tournament. Bosnia and Herzegovina was the world champion of volleyball at the 2004 Summer Paralympics and volleyball at the 2012 Summer Paralympics. Many of the team members lost their limbs in the Bosnian War. Bosnia and Herzegovina has the tenth highest coffee consumption per capita in the world. 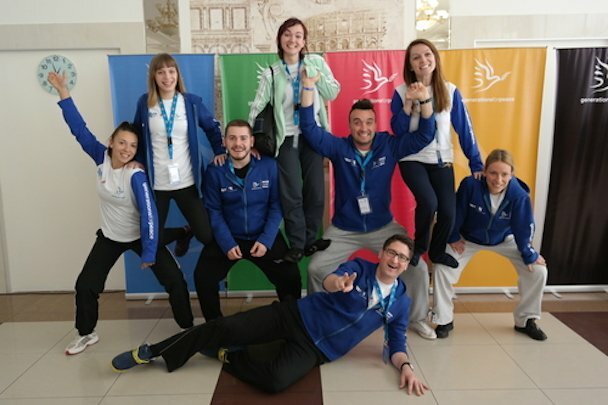 One additional fact: There are eight fantastic Delegates (below) from Bosnia and Herzegovina were selected to participate in the 2014 Sochi Camp!